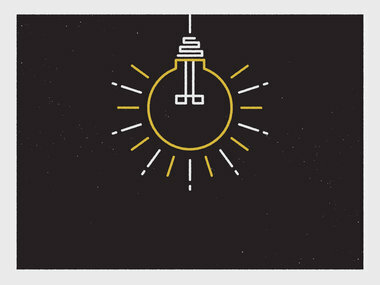 Home » Uncategorized » Let Your Light Shine. Let your light shine (Matt. 5:16). This is something that we often overlook in our walks. Did you know that if you are a Christian, you were created for good works? That’s what Ephesians 2:10 teaches. You are to be about good works, for that is your purpose. Paul tells Titus in Titus 2:7 that he is to be a model of good works and that God has redeemed a people who are zealous for good works (2:14). James says that if your faith is not accommodated by good works, then it is a dead faith (2:17). Christians are to be intentional in bearing fruit and producing good works. This is the very indication that they are, in fact, children of God. And repeatedly in Scripture we are told to bear fruit. However, this is something that only a believer can do. During the Ebola crisis, Bill Gates and the Bill and Melinda Gates Foundation announced they would donate 50 million dollars. And in his giving, he inspired some other Microsoft executives to donate. However, Bill Gates makes no profession of faith. He has stated that he believes in a god but isn’t sure how that belief makes one live differently. Although He is one of the most generous men alive, He is not a believer. So let me ask you a question: when Bill Gates donates $50 million dollars to fight Ebola, is that a good work in the biblical sense? No. Let me tell that it is not a “good work” in the biblical sense. In the biblical sense, a good work is one that stems from a right relationship with God and encourages others to glorify God, not you. So why is Bill Gates donation not a good work? Because Jesus said in John 15:5 that apart from Him we cannot do anything, in the context of bearing fruit—nothing. Similarly in Hebrews 11:6, the writer says without faith it is impossible to please God. Yes, thank you Bill for your donation; please keep donating. However, in the biblical understanding of good works, his donation is not one. It is good thing, we can be thankful. But a believer can only do a good work. For apart from Christ, you cannot bear fruit. Christ’s first admonition in Matthew 5:16 is to be about good works; let your light shine. But packed within this is the understanding that you can only let your light shine. This truth has caused much relief for many parents. You cannot make another person do what is right; what honors the Lord. You are only responsible and accountable for your own actions, ultimately. Yes, you will answer for the kind of parent, teacher, pastor, boss, employee, and spouse that you are. But ultimately, you cannot give an account for the actions of others. You can only give an account for how you let your light shine or did not let it shine. For the fruit you bore, or did not bear. Maybe you are a parent that needs to know, you cannot control the actions of your kid. You can only influence them. You are not able to control the choices they make, you can only shepherd them and disciple them so they make godly decisions. You can only let your light shine, so do it. Do not concern yourself with others response to you. Rather, let your light shine regardless of their response. Do what honors the Lord. Jack Dutton, “At $50 Million, Bill Gates Just Made His Largest Donation Ever to Fight Ebola, Business Insider, September 12, 2014, Accessed January 21, 2015, http://www.businessinsider.com/bill-gates-donates-50-million-to-the-ebola-outbreak-2014-9. By Greg E. Gifford in Uncategorized on January 26, 2015 .